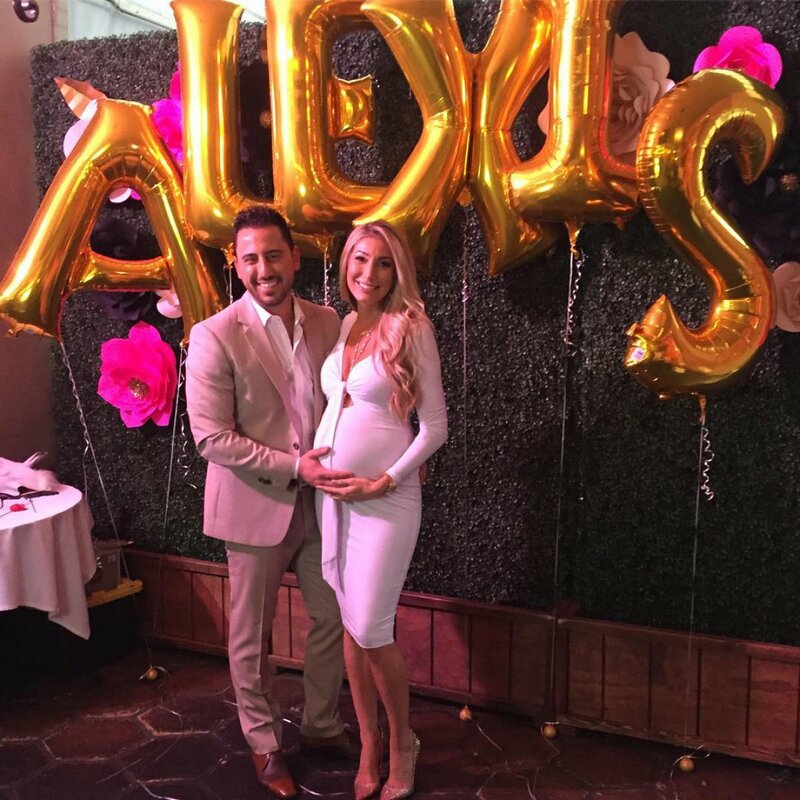 Josh Altman and Heather Bilyeu celebrated at their baby shower over the weekend. The 37-year-old "Million Dollar Listing Los Angeles" star and 31-year-old real estate agent were feted by family and friends ahead of the birth of their first child, a daughter they plan to name Alexis. "So excited to welcome our baby girl Alexis Kerry Altman. Only 9 weeks away! #babyalexis #babyshower #welcomebabyalexis @theheatheraltman," Altman wrote on Instagram. Altman and Bilyeu married in Aspen, Colo., in April after getting engaged in 2013. The couple announced Bilyeu's pregnancy in September, and told Bravo's Daily Dish the same month they are thrilled to be having a daughter. "We are so excited about having a baby girl!" Bilyeu gushed. "Our guts just told us BOY. So finding out it was a girl was a complete surprise and and amazing one at that!" "My mom and I are very close and I was her mini-me -- I walked, talked and dressed just like her and I can't wait to have my own mini-me, my own build-in bestie," she added. "Josh is so excited to have a daughter. He is going to spoil her rotten." Altman has starred on "Million Dollar Listing Los Angeles" since Season 4, with Bilyeu also appearing in Season 8. The Bravo series follows the professional and personal lives of a group of real estate agents as they sell high-end properties in the Los Angeles area.